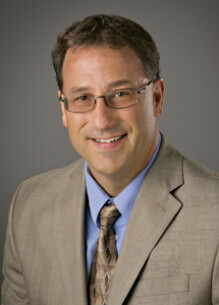 Mark Queen, ChFC®, CLU® - Keating & Associates, Inc.
Mark found his opportunity to join Keating & Associates in 1989. At the time he was an expert in the disability insurance field and he was able to assist in the beginnings of that department for Keating. Over the years, Mark discovered and honed his unique ability to coach entrepreneurs and grew a sincere appreciation for the individual talents and abilities the other firm advisors possess. The first thing that Mark tries to learn about his new clients is their destination. He has found that many times, many people don’t actually have a clear vision of where they want to go and without that clear vision, there is no way to measure towards success. Mark loves helping people through that visioning process both personally and professionally. Mark’s favorite thing to do is to meet new people and learn from them. He is heavily involved in his church and a number of small groups. He is a lay speaker as well as an avid outdoorsman. Mark travels the world going on hunting excursions, his most recent trip was to New Zealand. A longtime resident of Manhattan Mark shares life with his wife of 32 years, Kayla. They raised three children together and Mark is currently in the process of hand-transcribing a copy of the New International Version of the Bible for each of them.